���ы��愿�吏����� 吏����� �������몄�쇰� ����臾쇱��몄�(��: �댄�⑺������, �쇱�고������, �댁�쇳�� 硫����� 諛� ���몃�湲�由ъ�몃┛)怨� ��泥댁�� ����(��: ���� 諛� ����) 媛��� 愿��⑥�깆�� �� ��由쎈���� ����.4)5)6) 洹몃�щ�� �ы��愿� 諛� ����愿� 吏����� 諛�蹂��� ���� �ㅽ�몃���� 諛� 怨쇱��� ��臾�(��: �μ��媛� 洹쇰�)�� ������ ��吏� 紐�����吏� ����. 吏�臾댁�ㅽ�몃���ㅼ�� ���μ�� 愿��� 誘멸뎅怨� ���쎌���� ���댁� ��遺�遺��� �����곌뎄�� 愿�����留μ��� �뱁�� 湲��깆�ш렐寃쎌���� 愿��� 寃��대��. 洹몃�щ�� �ㅽ�몃���ㅻ�� ����愿� 吏����� �����몄��濡� 媛�二쇰����.29) 利�, �ㅽ�몃���� �몃Ⅴ紐�(移댄��肄��쇰�쇨낵 肄�瑜댄�곗��)�� 怨�����怨� ����濡ъ�� ��留κ꼍��利��� ��諛����� ����愿� 吏����� 諛�蹂�瑜��� ���� �� ����.30) 吏������� �ㅽ�몃���� 諛����� ������ ���깊����耳��� ����諛���(thrombotic reactions)�� 珥�吏����ㅺ�, 怨쇱��怨� ����(hypercoagulable state)瑜� 珥������� 硫�而ㅻ��利��� ��吏� 紐�����吏� ����.31)32) 肄�瑜댄�곗�� ��移��� �쇰�由щ�멸�(fibrinogen) 諛� von Willebrand factor ���� ��移��� 吏������쇰� 愿��⑥�� ���ㅺ� 蹂닿�������.33)34) �대�ы�� 寃곌낵�ㅻ� 蹂� ���� 怨쇰��� 援�媛���寃쎄�肉�留� ������ HPA 異��� �듯�� ���� 諛����� 媛����� �� �� ����. 怨쇰���(Karoshi)�� �κ린媛� �ㅽ�몃���ㅺ� 留��� ������ �� ���� 留��� �쇰��� 愿��⑤�� �μ��瑜� ��洹뱁���� 諛������� 寃��쇰� ��媛�����. ���� 吏�臾댁��援ъ�� ���� ���⑥�� �����쇰� �명�� �ы���щ━�� �ㅽ�몃���ㅻ�� �ы��愿� 吏����� 諛�蹂�瑜��� 利�媛����⑤��. 洹몃�щ�� �μ��媛� 洹쇰Т�� 怨쇱��� ��臾� 遺��� �댁�몄�� 怨쇰��ъ�� �������몄�� 蹂듭�≫����.35) 怨쇰�濡� �명�� �쇰�媛��� ����, �깅�, ��泥댁�� ����, ��������, �щ━�� ����, �깃꺽 ����, ����寃쏀�� 諛� 嫄닿����� �� 留��� ���몄�� ���� ���μ�� 諛�����. 怨쇰��ъ�� 蹂��멸낵 諛�蹂�湲곗���� 蹂듭�≪�깆�� �곌뎄����寃��� �대�ㅼ���� ��吏�留� �� 留��� 二쇱���� �ъ링 �곌뎄媛� ��������. ���� �ㅽ�몃���� 愿�由�(洹쇰���媛�怨� ��臾대�� 議곗�� ��), 湲���, 怨�����怨� �밸�⑤� 諛� 怨�吏���利� 移�猷� �깆�� �ы��愿� 吏���怨� ����愿� 吏����쇰� 諛������� 怨쇰��щ�� ��諛⑺���� �� 以����� �ы���대��. 1) Nishiyama K, Johnson JV. Karoshi-death from overwork: occupational health consequences of Japanese production management. Int J Health Serv 1997;27:625-641. 2) Uehata T. Karoshi, death by overwork. Nippon Rinsho 2005;63:1249-1253. 3) Maron DJ, Grundy SM, Ridker PM, Pearson TA. Dyslipidemia, other risk factors, and the prevention of coronary heart disease. In: Hurst��s The Heart, 11th Ed. 1093-1122, McGraw-Hill Companies, Inc. 2004. 4) Steenland K, Fine L, Belkic K, Research findings linking workplace factors to CVD outcomes - shift work, long hours, and CVD. Occup Med 2000;15:7-68. 5) Nurminen M, Hernberg S. Effects of intervention on the cardiovascular mortality of workers exposed to carbon disulphide: a 15-year follow up. Br J Ind Med 1985;42:32-35. 6) Kristensen TS, Kornitzer M, Alfredsson L, Marmot M. Social factors, work stress and cardiovascular disease prevention in the European Union. The European Heart Network, 1998. 7) Buell P, Breslow L. Mortality from coronary heart disease in California men who work long hours. J Chronic Dis. 1960;11:615��626. 8) Bannai A, Tamakoshi A. The association between long working hours and health: a systematic review of epidemiological evidence. Scand J Work Environ Health. 2014;5��18. 9) Kivimaki M, Jokela M, Nyberg ST, et al. Long working hours and risk of coronary heart disease and stroke: a systematic review and meta��analysis of published and unpublished data for 603 838 individuals. Lancet. 2015;386(10005):1739��1746. 10) Conway, S. H., Pompeii, L. A., Roberts, R. E., Follis, J. L. & Gimeno, D. Dose-response relation between work hours and cardiovascular disease risk: findings from the panel study of income dynamics. J. Occup. Environ. Med. 58, 221��226 (2016). 11) Steenland K, Fine L, Belkic K, Research findings linking workplace factors to CVD outcomes - shift work, long hours, and CVD. Occup Med 2000;15: 7-68. 12) Liu Y, Tanaka H, The Fukuoka Heart Study Group. Overtime work, insufficient sleep, and risk of non-fatal acute myocardial infarction in Japanese men. Occup Environ Med. 2002;5:447-451. 13) Kageyama T, Nishikido N, Kobayashi T, Kurokawa Y, Kabuto M. Commuting, overtime, and cardiac autonomic activity in Tokyo. Lancet. 1997;350:639. 14) Bosma H, Peter R, Siegrist J, Marmot MG. Two alternative job stress models and the risk of coronary heart disease. Am J Public Health 1998;88:68-74. 15) Harrinton JM. Shift work and health--a critical review of the literature on working hours. Ann Acad Med Singapore. 1994; 23:699-705. 16) van der Hulst M. Long work hours and health. Scand J Work Environ Health 2003;29:171-188. 17) Uehata T. Long working hours and occupational stress related cardiovascular attacks among middle-aged workers in Japan. J Hum Ergol (Tokyo) 1991;20:147-153. 18) Nishiyama K, Johnson JV. Karoshi-death from overwork: occupational health consequences of Japanese production management. Int J Health Serv 1997;27:625-641. 19) Lin JS. Karoshi in Japan. Part 1: Preliminary exploration. J Taichung Institute of Business 1996;28:1-25. 20) Lin JS. Karoshi in Japan. Part 2: Management of karoshi and corporate responsibility. J Taichung Institute of Business 1997;29:1-19. 21) Lin ST. Japanese industry and business development and karoshi. Bulletin of Labour Research 2003;14:1-39. 22) Karasek RA, Theorell T. Psychosocial job characteristics and heart disease. In: Healthy Work- Stress, Productivity, and the Reconstruction of Working Life. 1992. Basic Books. 117-126. 24) Dejours, C. Mental disorders related to work and their relation to health. In: Kalimo R, El-Batawi M, M, Cooper C. Eds. Psychosocial Factors at Work. World health Organization, Geneva,1987,64-77. 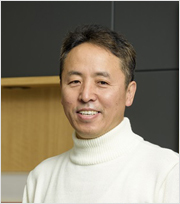 25) Nakao M. Work-related stress and psychosomatic medicine. Biopsychosoc Med 2010;26:4. 26) Lundberg U. Stress hormones in health and illness: the roles of work and gender. Psychoneuroendocrinology 2005;30:1017-1021. 27) Lundberg U. Stress hormones in health and illness: the roles of work and gender. Psychoneuroendocrinology 2005;30:1017-1021. 28) Lundberg U, Hellstrom B. Workload and morning salivary cortisol in women. Work Stress 2002;16:356-363. 29) Tsutsumi A, Kayaba K, Ishikawa S. Impact of occupational stress on stroke across occupational classes and genders. Soc Sci Med 2011;72:1652-1658. 30) Lundberg U. Stress hormones in health and illness: the roles of work and gender. Psychoneuroendocrinology 2005;30:1017-1021. 32) Eggers AE. A chronic dysfunctional stress response can cause stroke by stimulating platelet activation, migraine, and hypertension. Med Hypotheses 2005;65:542-545.